Seems everybody in towns from the Huon Valley to north of Hobart is coughing and spluttering in the smoke from the fires. 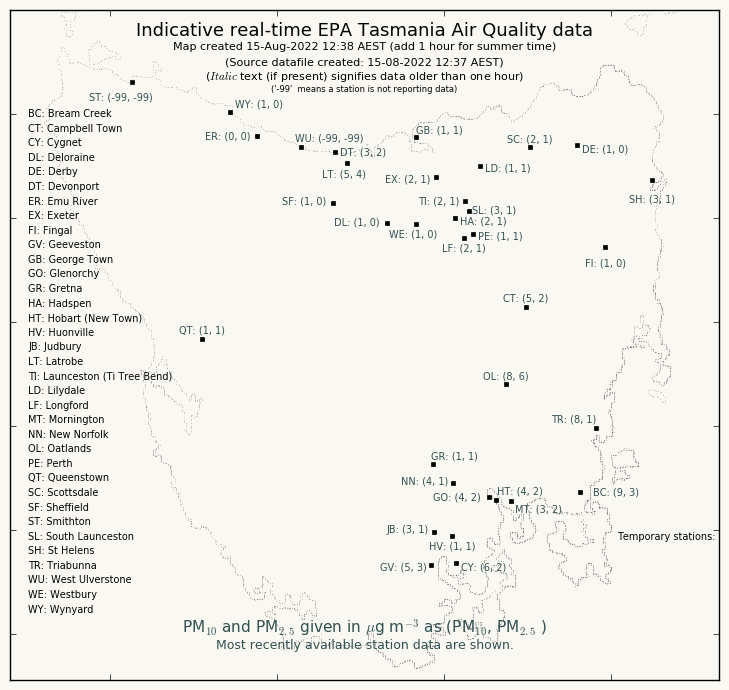 If it is a real issue for you and you want to relocate refer to https://epa.tas.gov.au/epa/air/monitoring-air-pollution/real-time-air-quality-data-for-tasmania . The snapshot below shows that on Thursday morning (31st) the coast up around Triabunna, Orford and Maria Island are good places to be.